Counselling is all about deep, respectful, genuine and caring contact between counsellor and client. This is the crucial element in any counselling relationship. And I like to think that my life's experience has opened me up to this awareness. More about this, later. I guess prospective clients need to have some formal idea of my background. Here it is. From 1969 to 1971 I worked as a systems analyst for a computer organisation, designing stock systems. In 1971, I moved to a large manufacturing organisation where I became involved in law and human resources, initially working mainly with staff on a daily basis and my activities with the staff revolved around personal and work-related problems. In 1975 I qualified as a lawyer and I became Legal Director and Director of Human Resources of the organisation, a position I held for 13 years. I was deeply involved both on an individual level and on a family level - there were numerous instances where I had to deal with parents thousands of miles away, on the telephone. In addition to all the above, from 1989 to 1993, I helped to organise and run a furniture and clothing distribution centre for newly arrived Russian immigrants but soon the centre became a counselling support centre for these immigrants and I became extensively involved in this area, having to learn to speak rudimentary Russian in order to facilitate closer contact with them in my counselling role. In 1997, I emigrated to Australia and since arriving here, I have been drawn to focus much more on the personal and social dynamic of people. To this end, I initially became involved in working with men, having taken an active part in several men's organisations - policy design co-ordinator of the Odyssey Group, a well-established men's organisation and I was a founder member of COMO - Confederation Of Men's Organisations - a national body representing men's organisations throughout Australia. I helped develop a program for fathers and sons, and have presented this many times at different venues. Since 1999, I have become more involved with general counselling, working with core groups of people of mixed gender, groups of phobics and depressed people, and working with immigrants facing the inevitable difficulties in readjusting to their new environments. To this end, I run work-shops on the stresses of immigration, and the effects on the family and on each member of the family and part of my work involves preventative programs to deal with immigration issues - to effectively handle the evolving new realities before they become crises. My private practice currently is split more evenly across gender lines - about 70% of my practice is now involved with women. To formally equip myself and comply with pending Australian regulations covering the counselling profession, I completed a Graduate Diploma in Counselling at the Australian College of Applied Psychology and then completed my Master's degree in Counselling at the University of Western Sydney, specialising in Trauma work and Narrative Counselling. I have also completed a formal Group Leadership course through the Institute of Group Leaders in order to formally hone my wide group experience over the years. On an ongoing basis, I run various types of groups and workshops in several areas in but my group work and private practice is now such that, increasingly, I concentrate on my private practice which I run from rooms in Double Bay where I offer one-on-one, face-to-face counselling to clients and couples. I also run my private practice from my home in North Bondi. Finally, I offer net therapy to various people over the world, either to new clients who find me through search engines or to existing clients who move or who go away on holiday but want to maintain contact with me. This is the formal me in a nutshell! 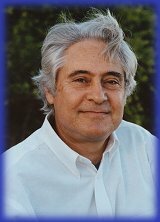 I believe that as a counsellor, I draw on some singular advantages which I am able to offer my clients - I have lived life in the full in several different environments, different cultures and different countries, all of which have opened up unique windows for me in cross-cultural awareness and expanded empathy. I have successfully immigrated three times and made the necessary adjustments in each case, re-inventing myself in different career paths, all of them successful. I have worked as a corporate lawyer and a human resource director. I have been a travel agent/tour operator and have won national awards for my achievements. Finally, I have become a psychotherapist. I have done all this in the space of my life so far. It is this broad exposure to life which has made me what I am and my experience of having to re-invent myself and acquire and nurture a new identity in each of my new environments has been one of the greatest privileges of my life. I have learned to grab life and make things work and that is one of the most valuable perspectives I can offer my clients. I believe I am able to offer this to my clients in terms of 'helping wisdom' which implies my own self-knowledge; some maturity; a readiness to admit mistakes; a psychological and human understanding of others; insight into human interactions; the ability to see through situations; avoidance of stereotypes; the ability to spot flaws in reasoning; and being a counsellor who both challenges and frustrates. The last few lines have been taken from Gerard Egan's "The Skilled Helper" and it does embody something which approximates the person I think I now am becoming. But most of all, my counselling is my passion - it offers me challenges, laughs, a real dip into life and deep, deep fulfilment and I have never regretted leaving the world of corporate law to plunge into the world of the human condition.